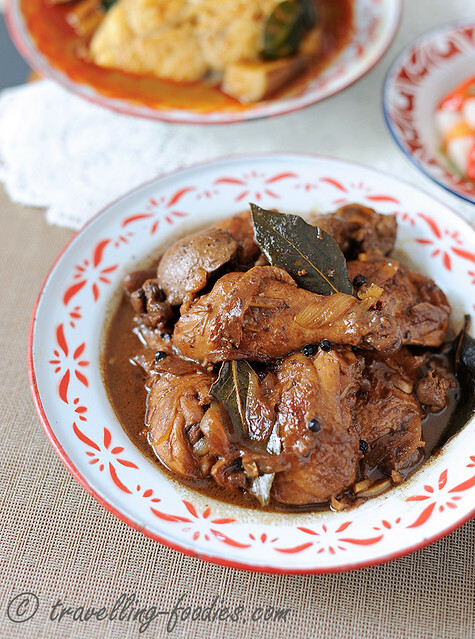 I’d cooked Adobo Manok for lunch yesterday. A quiet Monday, as usual… a quiet start to a quiet week. I like the flavours, a really simple dish to cook. It is often dubbed as the national dish of the Philippines and many regional varieties have developed, using different ingredients and sometimes even different procedures involved. Whichever the case, the method is fairly straightforward. I’d used chicken because it seems to be the most common version around. Then there is the pork and pineapple version which I’m quite curious about actually. Another day perhaps. 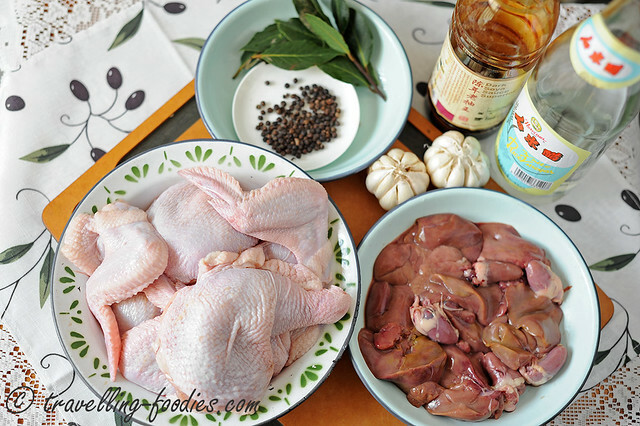 Offal is added as a student of mine from the Philippines told me that it is popularly done so where she lives. And I love chicken liver so this is the perfect excuse to enjoy some! The flavours are quite simple but yet exotic at the same time. White vinegar with dark soya sauce, typical Asian but quite an unlikely combination come to think of it. Then there is bay leaves and black peppercorn which is distinctively European, a reminder of the country’s Spanish influence. 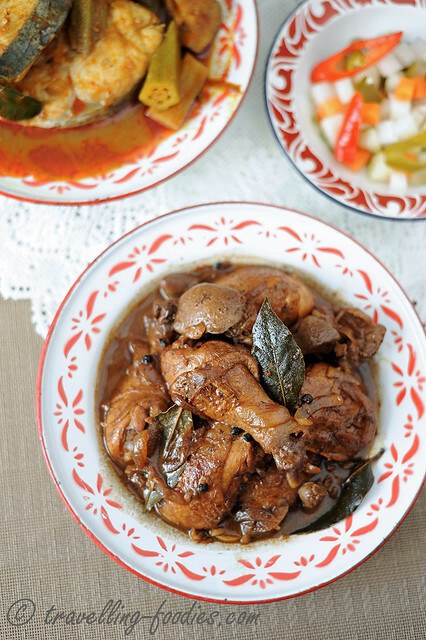 A truly fusion dish Adobo Manok turns out to be. In a heated wok, add cooking oil and saute onion slices until soften and translucent. Add chicken chunks, skin side down and pan fry each piece until skin turns slightly brown and begins to crisp up slightly. Add garlic slices and saute until fragrant. Add dark soy sauce and stir fry slightly until all the chicken are evenly coated. 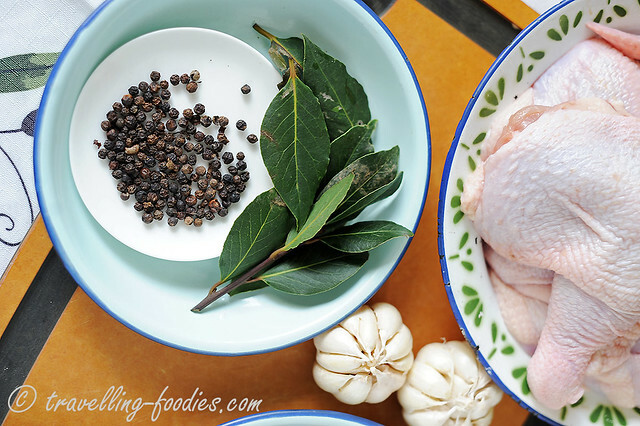 Add white rice vinegar, peppercorn, bay leaves and sufficient water to just cover the chicken chunks. Bring everything to a boil and lower flame to simmer for 5 min covered. Adjust the flavours with salt and pepper. Continue to simmer for another 20-30 min under medium-low heat until the sauce is reduced and chicken is tender to the bone. 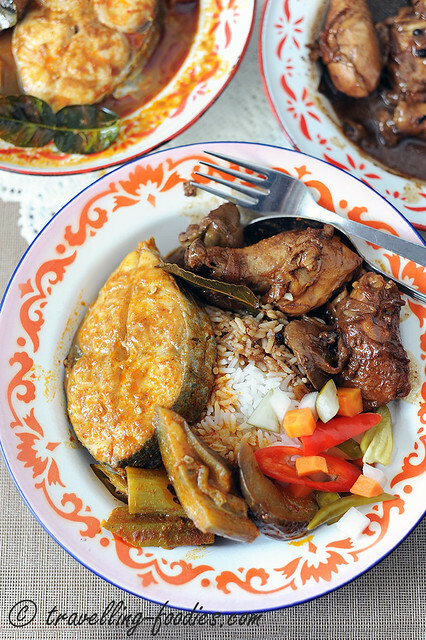 Serve with rice and other dishes. This entry was posted on July 22, 2014 by Alan (travellingfoodies). It was filed under Food, Simple Eats and was tagged with Adobo Chicken, Adobo Manok, bay leaves, black pepper corn, chicken, garlic, onions, Philippines, soya sauce, vinegar. Looks tasty! Beautiful photos, too! hi there! thanks for your kind words!